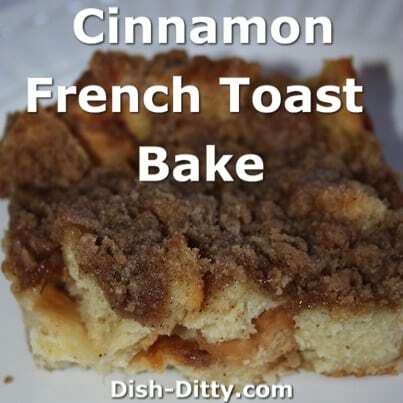 Cinnamon French Toast as a Casserole? You betcha! It’s perfect for overnight guests, brunch, or a potluck. 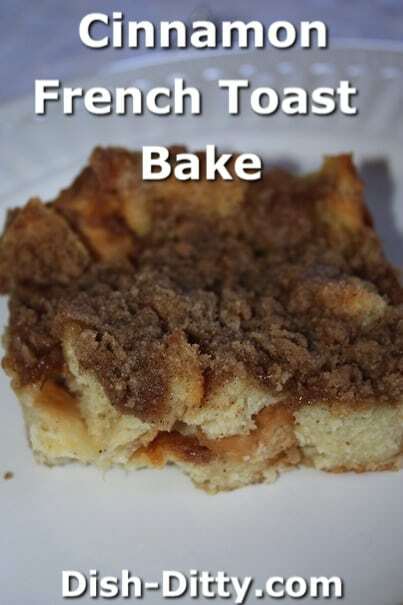 I’ve seen lots of versions of ‘French Toast Bakes’ or ‘French Toast Casseroles’, most didn’t look that good to me. But I needed something to take to a Christmas Brunch and really wanted to try making one. So, I did a little searching and saw a post from Mormon Mavens in the Kitchen. The picture looked similar to what I wanted to make. I noticed that they got their recipe from The Pioneer Woman. This is a slight adaptation from that recipe. So, how was it? It was really really good. I took note from the Mormon Mavens to not use a standard white sandwich bread. So, I picked up a loaf of french bread from our local grocery store, Safeway. I used almost the entire loaf (less a few slices eaten while cutting into cubes). I was worried about it being soggy and/or eggy. It wasn’t either. In both of the other posts, it was recommended to serve it with Maple Syrup. I actually prefer it without the syrup. I think if you want to serve it with syrup, the sugar needs to be reduced in the casserole since it was perfect without the syrup. Adapted from The Pioneer Woman. Spray a 9x13 inch pan with Pam Spray. Cut up bread into cubes and place in baking pan. In a bowl, beat together the eggs, milk, cream, sugar, vanilla and cinnamon. Pour evenly over the bread cubes. Cover with plastic wrap and refrigerate for a minimum of 4 hours, or overnight. In a separate bowl, mix the flour, brown sugar, cinnamon, nutmeg and salt. Add the cut up butter into the mixture and, using a pastry blender if you have it, cut the dry mix into the butter until the mixture forms small pebbles. Store in a Ziploc in the refrigerator until ready to bake. After you have let the casserole refrigerate for 4-12 hours, preheat the oven to 350 degrees. Sprinkle the topping mixture onto the soaked bread cubes. Bake uncovered for 45-60 minutes. Serve plain or top it with butter, maple syrup or fruit. 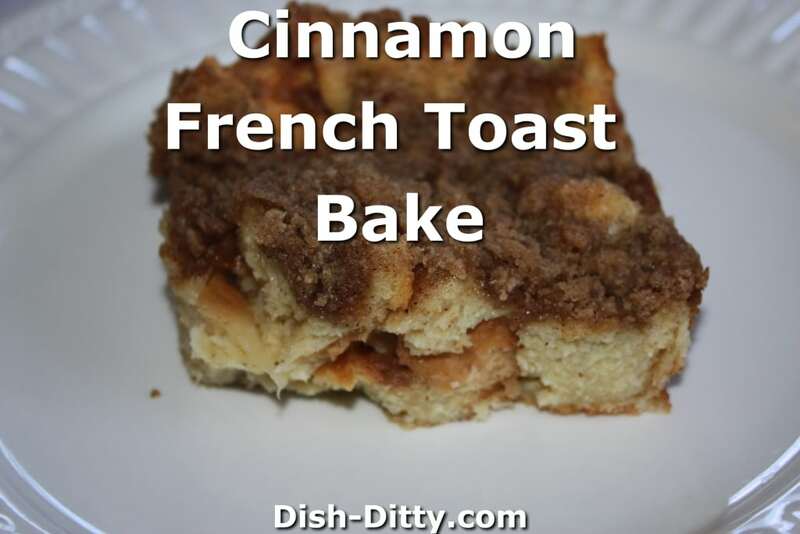 No Replies to "Cinnamon French Toast Bake Recipe"